The following is a Q&A with John Burke from Pace Law Firm. John specializes in temporary entry visas and employment related immigration matters. In this conversation, John gives the basics for those seeking Canadian work permits. John, can you find someone a job in Canada? This is a common question, and the short answer is no. We do not act as a recruitment agent assisting people to find jobs in Canada. Our role is to help the individual who has been offered a job in Canada obtain the necessary clearances and permissions to legally work in the country. This often involves working with the potential Canadian employer, as well. Essentially, if you’re thinking of getting a work permit and coming to Canada, the most important factor is having a job offer on the table. Where can someone look to find jobs available in Canada? The easiest place to start is the internet, as most companies have websites and many post their current job openings there. Alternatively, there are a number of internet-based job listing and search services such as Monster and Workopolis. There are also free web sites such as craigslist and kijiji that list jobs in a wide variety of occupations. If I get a work permit, what are the conditions placed on it? Your work permit will normally include such conditions as the type of work you can do, the employer you can work for, where you can work, and how long you can work. A complete list of your work permit’s conditions is contained in Regulation 185 of the Immigration and Refugee Protection Regulations. What about a husband, wife, or kids. Can they come to Canada, too? 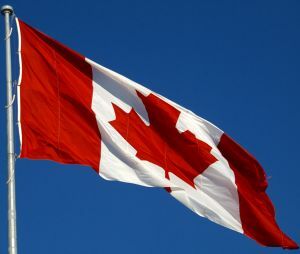 Your spouse or common-law partner and dependent children can come with you to Canada or visit you in Canada, but they must meet all the requirements for temporary residents to Canada. They have to satisfy an officer that they will only stay in Canada temporarily, and they may have to prove that they have no criminal record. If a spouse or common-law partner and children need temporary resident visas, they must also meet all of the conditions for obtaining those visas. How can someone reach you to get more information? The easiest way is through paceimmigration.com, or calling us at 888-825-9303. Let the person on the other end of the phone know that you read the blog and that you want to find out more about work permits. Someone will be able to take your call right away. You can also reach me directly on my web page.